As you can tell, I’ve been so into whites for winter lately so I just wanted to share this quick post featuring a crisp white jacket, skinny jeans and my new favorite pumps (yes, again!). 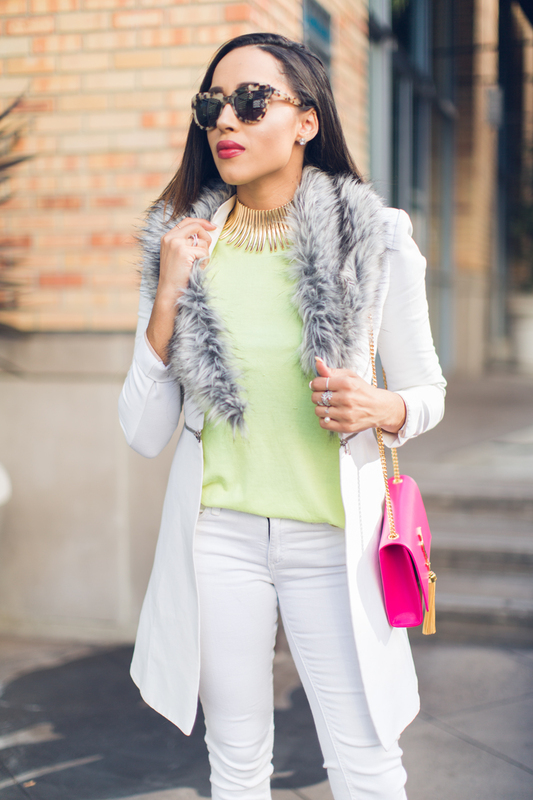 I added in a touch of faux fur for texture and a hot pink bag for a pop of color. I couldn’t wait until spring to break out my favorite color palette. I guess some rules are meant to be broken. Love this stunning look! Your white suit looks amazing – so chic! Thanks so much lady! This jacket paired so nicely with the jeans. Come back soon! Just give me the bag and nobody gets hurt 😀 LOL JK. Love this look on you girl! Love that coat and that heels,fabulous ! 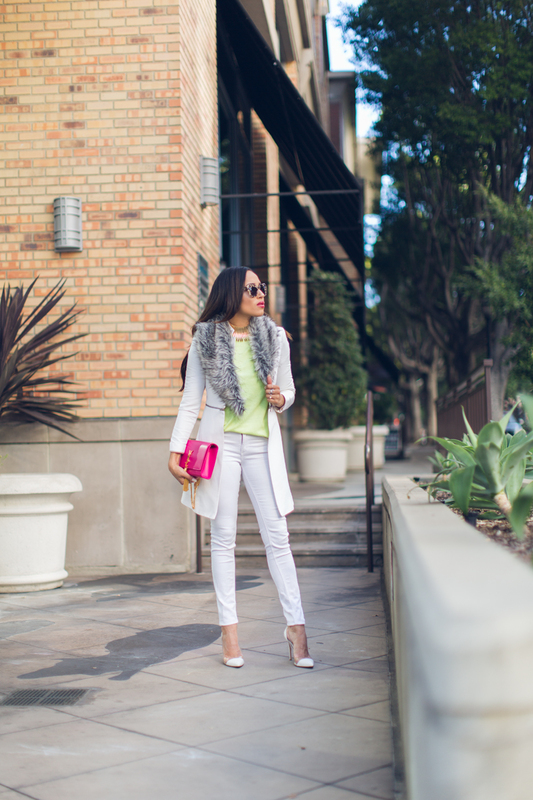 Loving the Winter whites… and that pop of pink YSL is perfect! So good!